In Another article, I covered the top three reasons why drafting your own horse contracts is a bad idea. Recently, after reviewing a client's horse boarding contract, I was inspired to add to the list. This client is educated, articulate and has owned a boarding stable for years. She has some excellent ideas about stable management. Yet, in drafting her own boarding contract and liability releases, she made some critical mistakes. While lawyers often do create contracts by using pieces of other contracts, they do so very carefully, and the contracts they start with are usually high quality and often drafted by the lawyer who is now using them to create a new agreement. In contrast, when a non-lawyer drafts a contract, they typically use examples they find on the Internet or get from their friends, and then add some of their own language. 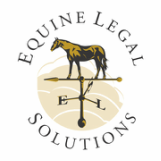 The contracts they find may not be drafted by a lawyer, and even if they are, chances are excellent that the lawyer didn't know much about horses. The contracts may not be well-written, and even if they are, they may be totally irrelevant to the client's situation. And as for the language that the clients draft themselves? It's almost always a disaster. Even if the client does have a master's degree or a PhD - they just don't have the training and experience that a lawyer does. When non-lawyers cobble together their own contracts from pieces of other contracts, the pieces don't usually match. There are often missing section references, cross-references to sections that don't exist, and capitalized terms that aren't defined anywhere. Some of the language doesn't make any sense, and some of the terms even contradict each other. Simply put, the contract ends up being confusing. In contrast, part of a lawyer's job is to make sure that a contract flows well, all the cross-references are correct, all capitalized terms are accurately defined and that the contract uses terms consistently throughout. Lawyers get paid to read every single letter and number and make sure there are zero mistakes. When a contract is ambiguous, and the parties disagree about its meaning, courts typically side against the party who provided the contract. So, for example, if a boarding contract never defines an important term, or one term contradicts another, the courts will likely side with the boarder's interpretation of the contract. Enforceability of liability releases is a continually evolving body of law. Legal cases upholding or tossing out liability releases are decided every day, and frequently, they turn on very subtle language differences. It's a lawyer's job to keep up with the case law and make sure the latest "magic language" is in the liability releases they draft. In contrast, non-lawyers have little idea what makes a liability release enforceable, and so they tend to just copy release provisions that "look legal." Often, those provisions are written in legalese which, contrary to what the non-lawyer might believe, actually undermines the release's enforceability. Very often, non-lawyers copy liability release provisions from various contracts and don't pay enough attention to the parties named in the release. As a result, a boarding contract for "Star Stables" can contain release provisions that refer to "Pacific Stables" and never mention Star Stables anywhere. Or, Star Stables might be named, but not its owners, employees, etc. Anyone not named as a released party won't be able to enforce the liability release, which means it's open season for ambulance chasers. That's a pretty big oops!